Imagine the expertise learned from Guilty Gear Xrd, applied to Dragon Ball Z.
Bandai Namco accidentally announced today Dragon Ball Fighters, a brand-new fighting game from Arc System Works. A Japanese press release was launched today, dated June 12, and obtained by Gematsu. DBF will utilize the same visual techniques that Arc System Works employed in Guilty Gear Xrd, offering highly-animated 3D characters in a 2D plane. Dragon Ball Fighters is based on a 3-v-3 team battle system. This recalls the team battles currently happening in Dragon Ball Super, pitting universe against universe. 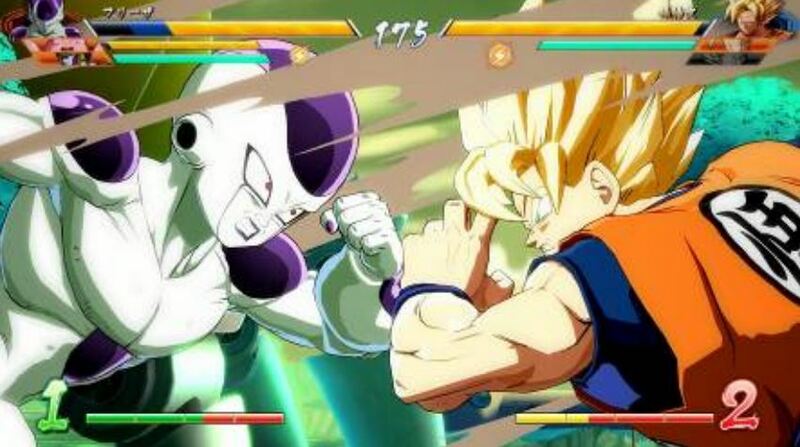 According to the press release, Dragon Ball Fighters will offer the "ultra high speed battles" and "flashy special moves" that mark the Dragon Ball Z/Super franchise. Most of the Dragon Ball Z fighting games have been 3D in nature for a long time now, notably the long-running Dragon Ball Z: Budokai/Budokai Tenkaichi series. The last 2D fighter was Dragon Ball Z: Extreme Butoden for Nintendo 3DS. At the very least, Arc System Works means this game will look amazing; we'll have to wait until E3 to see how it plays. Dragon Ball Fighters is planned for a release on PC, PlayStation 4, and Xbox One in early 2018. The press release is in Japanese, so the release window only applies to that region for now.